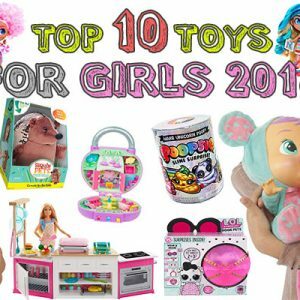 Every parent knows the importance of educative play, and the best way to encourage kids to learn through play is with STEM toys. 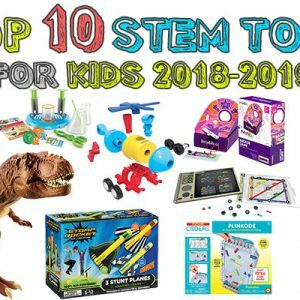 It does sound like a pretty tall order expecting kids to learn during play, but several STEM toys for kids are designed for that exact purpose. 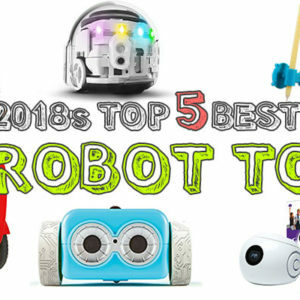 Go through our top stem toys for 2019 list for some inspiration on what to buy your kids. Who wouldn’t love to launch a rocket into the sky? 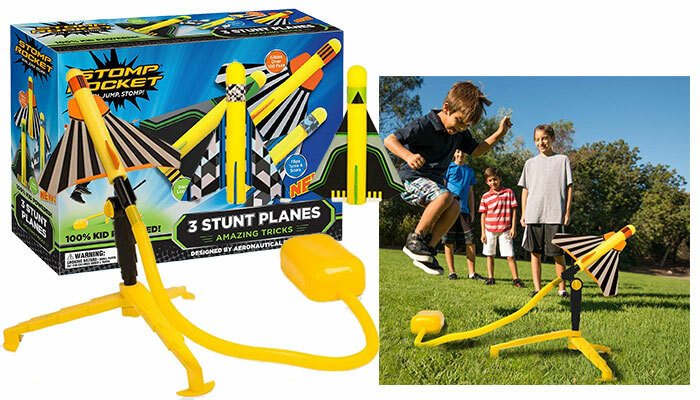 Well, your kids can with the Stomp Rocket Stunt Planes. It’s 100% powered by your kids and they have to jump and stomp on it to send the planes flying. 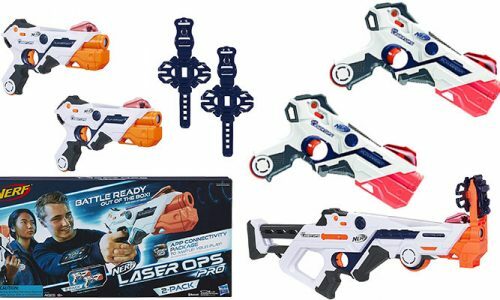 Three different planes come with the package including a Wildcat, Looper, and Glider. Aeronautical engineers had a hand in designing the stomp rockets to make sure that they achieve amazing stunts. The lopper makes giant loops while the glider soars way up high to 100 feet heights, and the Wildcat performs an assortment of crazy tricks. The package also includes a launch stomp pad and an adjustable launch stand. 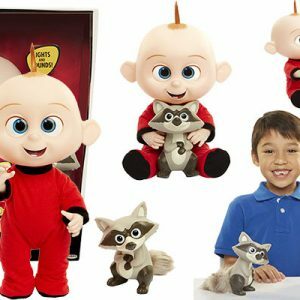 It’s ideal for kids age 5 and up. Combine dinosaurs and learning and it would still feel like more fun than an educative experience. The Jurassic World Stem Tyrannosaurus Anatomy Kit teaches your child anatomy with a side of fun. 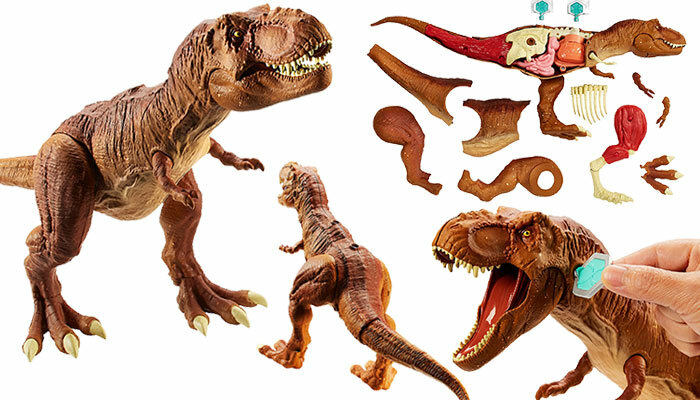 A large-sized T-Rex comes with the kit and it features a removable side giving kids a closer look at its inner functions. 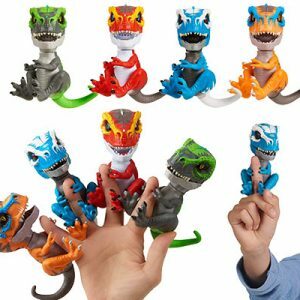 Using the DNA key moves the legs giving a closer look at the muscle flex, lungs, and heart pumping, and it all activates the dino to open its large mouth. 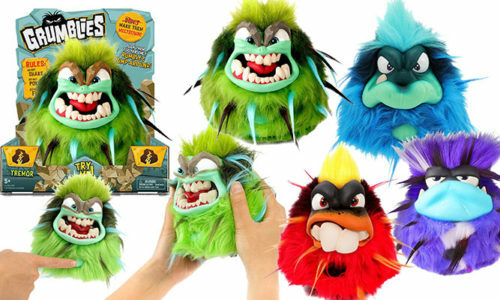 Mix a bit of chemistry and some weird beaker creatures, and what you have is tons of fun. The goal is to extract the beaker creatures from mysterious reactor pods. 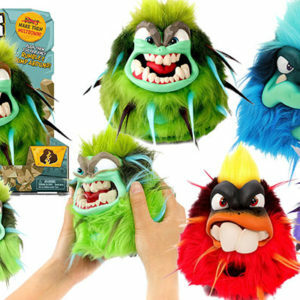 There are a total of 35 of these beaker creatures to collect. It’s just a matter of dropping the reactor pod in the chamber and pumping the reactor liquid in then watching the bubbling reaction as it reveals the hidden mystery creature. The lab also doubles as a science set with hands-on experiments to perform. A 24-Carat creature also hides somewhere in the beakers. 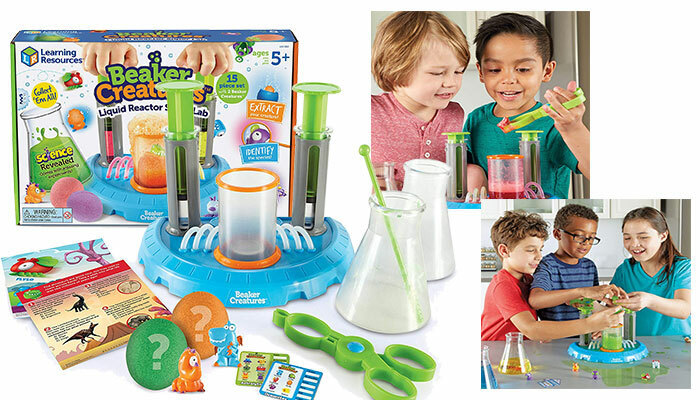 The 15-piece set includes a full-size and 2 mini posters, SuperLab, 2 classification cards, 2 Reactor Pods hiding mystery Beaker Creatures, and an experiment guide. 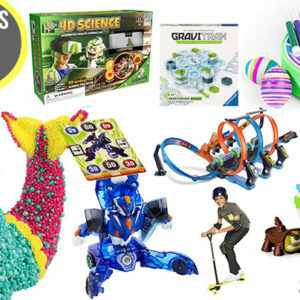 Slime had to feature on our best stem toys 2019 list because it’s the perfect example of combining fun and learning. 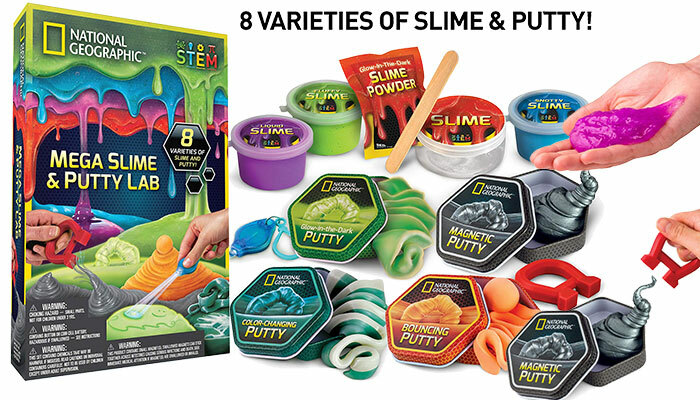 The National Geographic Mega Slime set comes with 8 awesomely cool varieties of slime and putty including color-changing putty and magnetic putty. 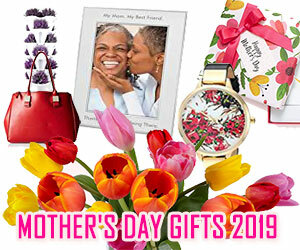 The package also includes storage tins and accessories like a UV laser light, a keychain, and ultra-strong magnet. 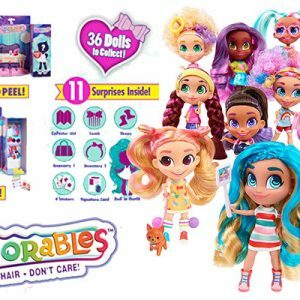 A 16-page learning guide in full color also comes with the set which has been quality tested assuring non-toxic formulas. 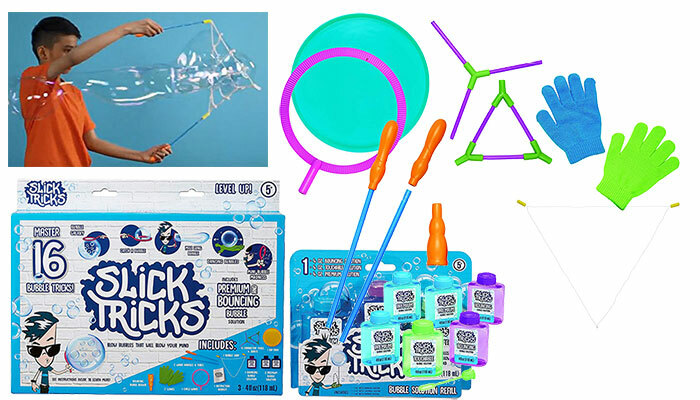 If you have a budding magician in the family, get them, the Little Kids Slick Tricks Bubble Magic Kit. It teaches kids 16 impressive bubble tricks that they can turn into their personalized acts to show off to friends and family! 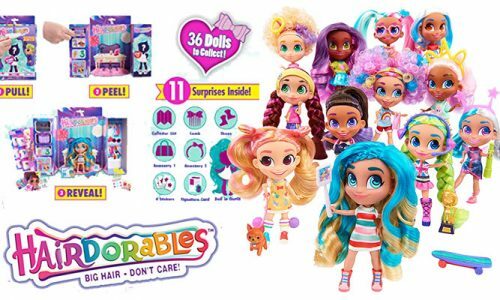 The kit includes an instruction booklet, a drip tray, 4 connector joints, a bouncing bubble blower, one bubble loop, 2 bouncing bubble gloves, 2 wand handles, and tubes, and a circle wand. A 4 fl oz premium bubble solution bottle and refill packs also come with the kit. 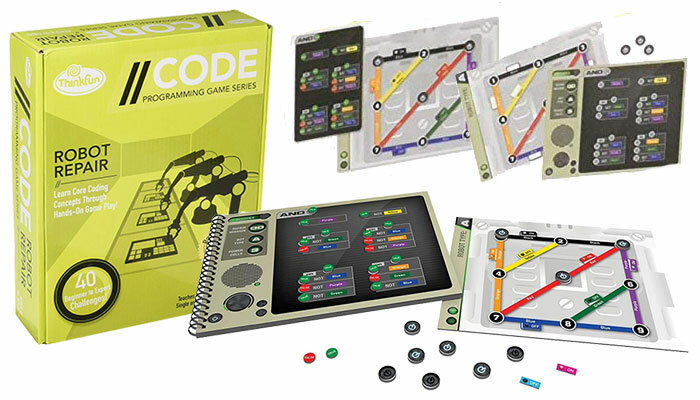 Coding is one of the STEM aspects that has been greatly adopted for play. 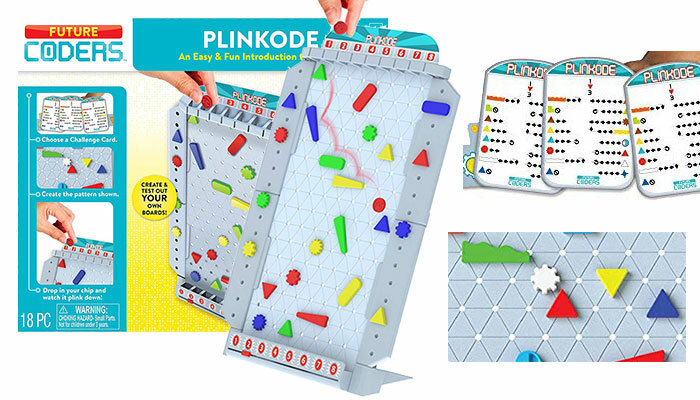 The Plinkode features code cards that you have to decipher along with shapes that go on the game board. There are 20 levels to pass and then you can come up with your own personalized challenging course. 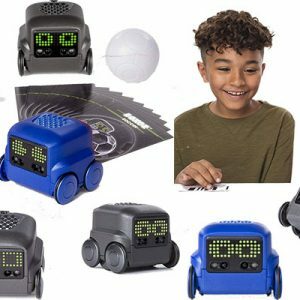 The Thinkfun Robot Repair Coding Board Game teaches kids programming principles in the form of gameplay. 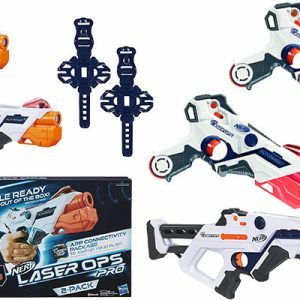 The set features 4 robot circuit boards, 10 power cell tokens, 40 difficult challenges, 20 true/false tokens, a solution booklet, 9 on/off tokens, and an instructions manual. As kids play through the challenges it develops their critical, planning, reasoning, and core programming skills. They also learn Boolean logic concepts. It features 40 multi-level challenges ranging from beginner to expert levels. 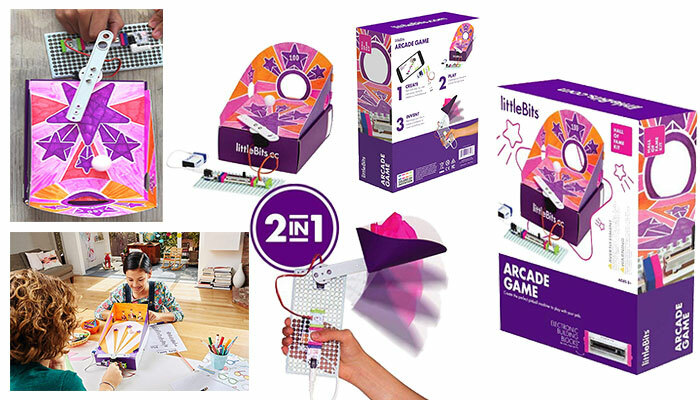 The learning inventor will appreciate the 11-piece LittleBits Arcade Game Starter Kit. 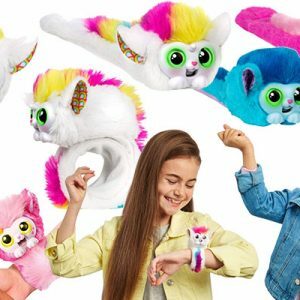 The package delivers a 2-in-1 kit designed to get kids started out with using technology creatively and also learning how to reinvent their creations. 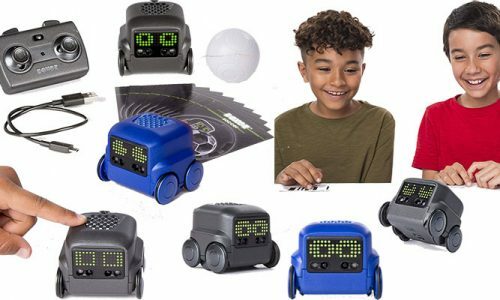 The kit is customizable and allows kids to design their own personalized pinball machine and then redesign it into a catapult. Create more epic and bigger inventions by combining several LittleBits Arcade kits. 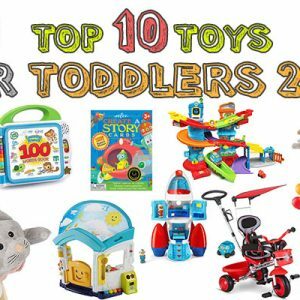 Toddlers are not left out when it comes to STEM toys for kids, and the 1-2-3 Build It Rocket, Train, and Helicopter is ideal for them. 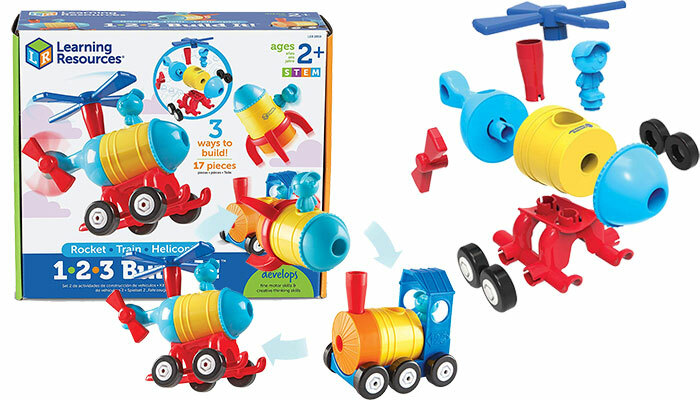 The 15-piece set allows your young one to build and rebuild a train, rocket, or helicopter. A kid-sized wrench also comes with the set to help your young one assemble the vehicles as well as understand more about real-world tools. The building-based play stimulates your child’s fine motor skills and develops their creativity. 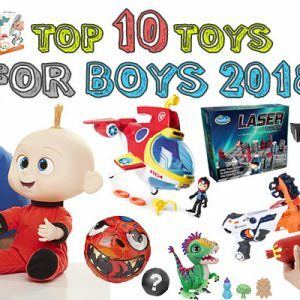 It’s the perfect gift for kids ages 2 and up. 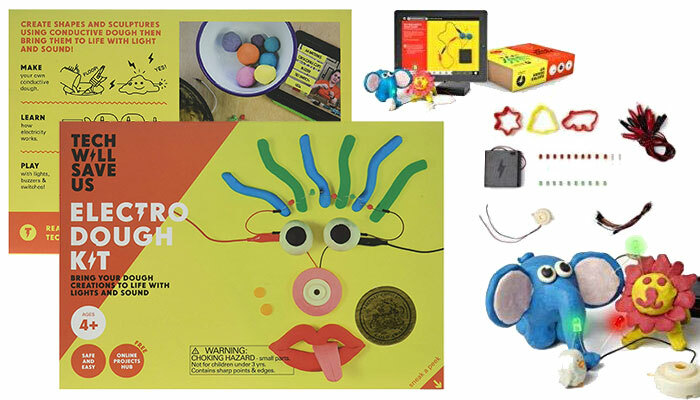 The Tech Will Save Us Kit enables your young one to create sculptures using conductive dough and then bring them to life using sound and light. 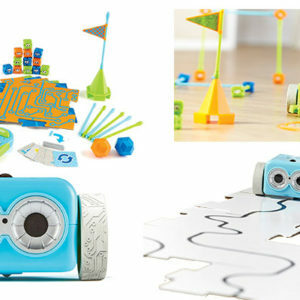 The kit also enables your child to make their own conductive dough while learning how electricity works. There are also buzzers, switches, and lights to play with. The Tech Will Save Us online resources offer additional help with developing a limitless number of creations using the kit. Whoever said that adults are difficult to shop for, probably never had to shop for kids for different occasions. As a parent, you have to be armed with a list of occasion-appropriate presents to gift your young ones throughout the year. 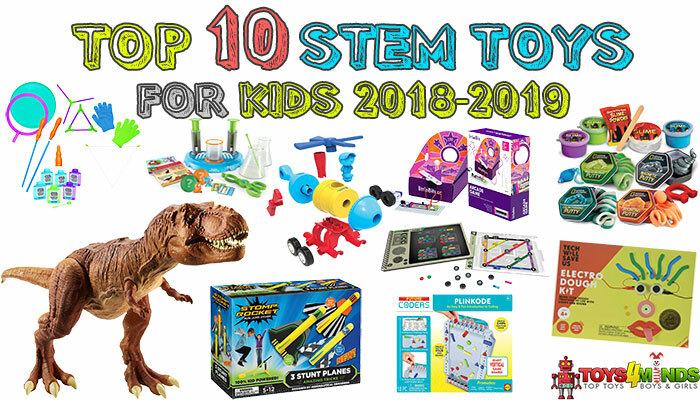 We are positive that our top stem toys for 2019 list will come in handy during birthdays, Bar Mitzvahs, Baptisms, Christmas, and even Christenings.